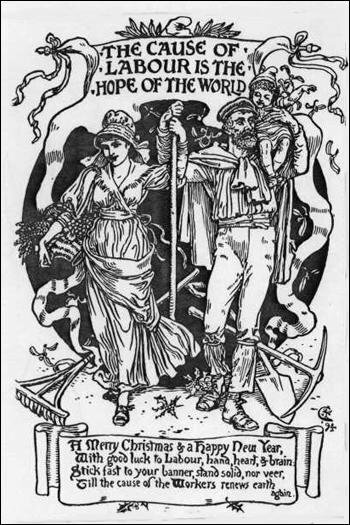 Walter Crane: Christmas Card, 1894. As Kelly noted in our Christmas letter it was a non-eventful year and sometimes that’s a good thing. We had no visits to the emergency room and no unexpected problems or crises. We have full stomachs, health care and a roof over our heads, all luxuries in this unjust world. We spent most of the year on a home restoration project, putting the house back to exactly the way it was configured when built in 1920. A crew fixed our back patio and will return sometime this year to do some hardscaping for our neglected garden. The blogging year involved a lot of kvetching, a veritable casserole of complaints with blog posts on the Thanksgiving holiday, squirrels eating all of our fruit, hoarding food and books, smart phones, junk mail, open floor plans, as well as proof that I’ve gone full Luddite. Speaking of old Ned Ludd, the most commented upon post was the one in which I announced the deletion of my Facebook account. Let me note that I’ve not regretted it one bit and please allow me to toot my prognosticational horn by noting how news about Facebook went from terrible to, well, beyond terrible by the end of the year. When I first blogged about Facebook I thought I might have been too harsh. In fact, I probably wasn’t harsh enough. As far as 2019 goes, I long ago gave up on New Years resolutions. But I know partly what is in store for 2019: finishing home improvements and working on that neglected garden. How did your year go? What do you have planned for 2019? 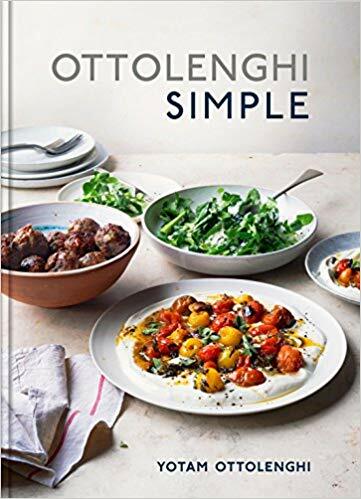 Ottolenghi Simple: A Cookbook. In Ottolenghi Simple, powerhouse author and chef Yotam Ottolenghi presents 130 streamlined recipes packed with his signature Middle Eastern–inspired flavors, all simple in at least (and often more than) one way: made in 30 minutes or less, with 10 or fewer ingredients, in a single pot, using pantry staples, or prepared ahead of time for brilliantly, deliciously simple meals. Yet, my book “Rich Dad, Poor Dad” while technically accurate, was not meant to be a technical book. It is a simple book about an often complicated and technical subject. “Rich Dad, Poor Dad” was written primarily to offer hope to people who wanted to find their own path to financial freedom rather than to be a slave to money all their lives. It was written to let people know that regardless if you did well in school or not, regardless if you had a high paying job or not, that each and everyone of us has the ability to reach the land of financial freedom if we have the proper financial education. As a final note, there is a new book out that I highly recommend, written by Thomas J. Stanley the author of “The Millionaire Next Door”. In his new book, “The Millionaire Mind”, Stanley surveyed over a thousand millionaires and found that most were B and C students and had an average SAT score of 1190. In fact, most of the millionaires would not have qualified for admission to most of the top academic institutions. Quoting from the book, “I find no correlation between SAT scores, grade-point averages and economic achievement. None.” says Stanley. EST (Latin for “is” and an acronym for Erhard Seminars Training) was equal parts Zen Buddhism and Dale Carnegie. Aspiring “ESTies” flocked to hotel ballrooms across the country for combative training sessions during which they forwent meal and bathroom breaks to take responsibility for their lives and “get it” by discovering there was nothing to get. The criticism intensified as EST grew. It was labeled a cult that practiced mind control (verbal abuse, sleep deprivation), a racket that exploited its followers (heavy recruiting, endless “graduate seminars”). Much was made of Mr. Erhard’s tangled Don Draperish past: his days as a car salesman in Philadelphia, his dabbling in Mind Dynamics and Scientology, his desertion of his first wife and their four children to reinvent himself on the West Coast. oooooops. I meant to copy/paste the above re Luddite. Over here in sunny 28°C Melbourne, Australia, it is New Years Day. With the assistance of a newbee friend we have just raided 2 of my 7 hives. This time last year the weather had been awful so none of the hives got raided. We have taken 6 Ideal (half a full) frames from each of the two. The honey is really dark but not strong tasting. It’s a nice start to the new year. Throughout 2018 I finally got most of my fruit trees (around 60 out od 80) planted in the front yard orchard. All done with the (paid) labour of 2 guys and a machine to dig the holes and the volunteers from a friends church group to actually plant the trees. I felt a bit of a hypocrite as I am a non believer but ahe assured me that didn’t matter. I actually got some cherries feom the trees and there’s peaches,apples and nectarines happening. I also harvested lots of raspberries from the well established canes and made jam ans raspberry cordial. Work was surprisingly busy towards the end of the year. I work casually since I retired from full time work 18 months ago so having the extra income and interaction was a bonus. The chickens have been laying and the rooster made a few babies. The garlic patch was very productive. The local backyard harvest swap I coordinate had its second birthday in 2018. So all up 2018 was quite a good year with no major issues. I love you people. Thanks for all the reads–laughs, headshakes, inspiration, and more!